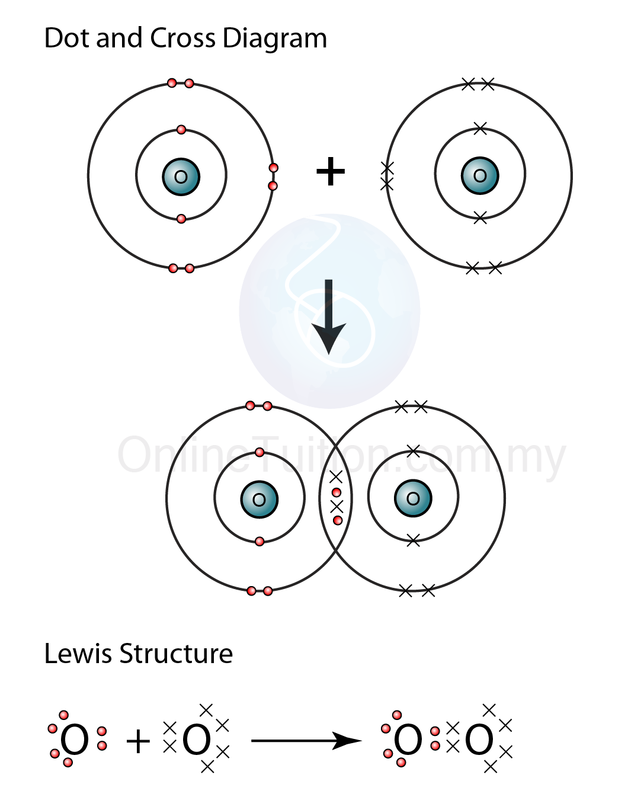 Covalent bonds are formed by atoms sharing electrons to form molecules. This type of bond usually formed between two non-metallic elements. In the formation of covalent bonds, atoms of non-metals will combine with each other to donate one, two or three electrons for sharing. 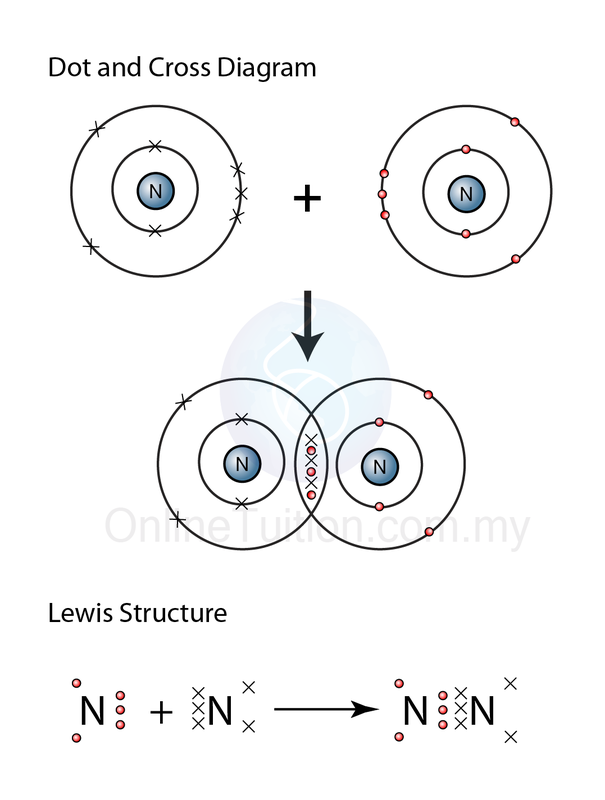 The compound formed through the formation of covalent bonds is called the covalent compounds. To achieve octet electrons arrangement, 2 fluorine atoms share 1 pair of electrons between each other. As a result, a covalent bond formed between the 2 atoms. 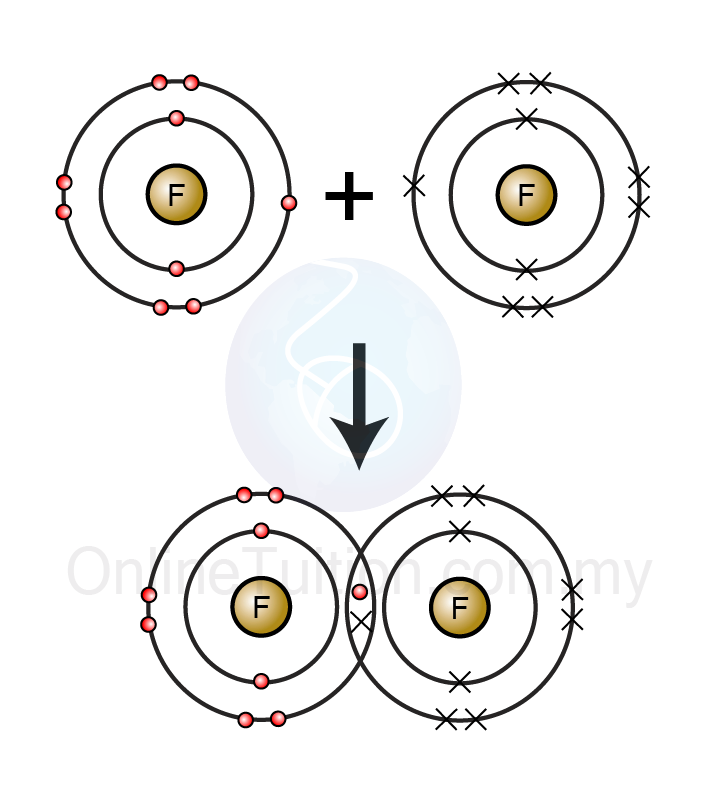 To achieve octet electrons arrangement, 2 fluorine atoms share 2 pair of electrons between each other. As a result, 2 covalent bonds formed between the 2 atoms. The electrons arrangement of an oxygen atom is 2.6 and the electrons arrangement of a hydrogen atom is 1. 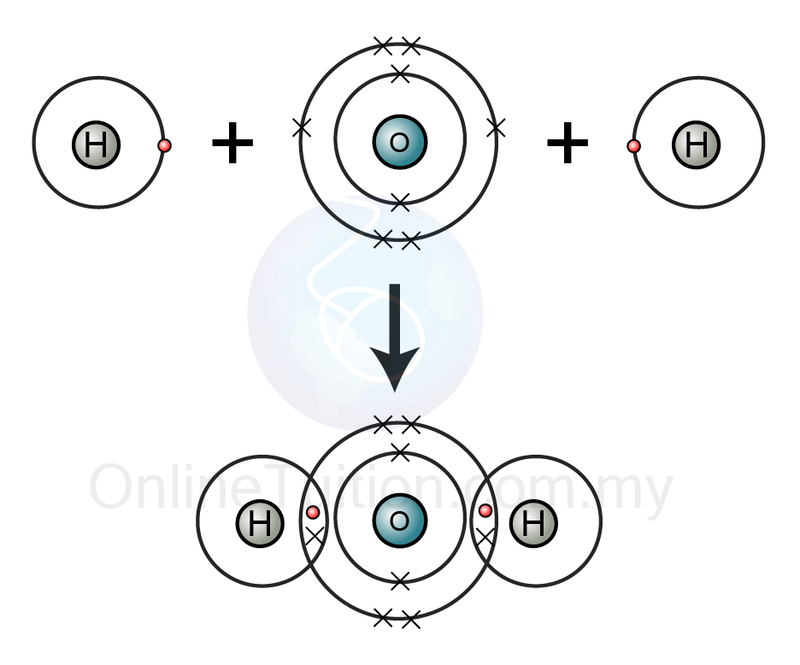 To achieve octet electrons arrangement, the oxygen atom share 2 pair of electrons with 2 hydrogen atoms. The hydrogen atoms achieve duplet electrons arrangement after sharing electron with the oxygen atom. 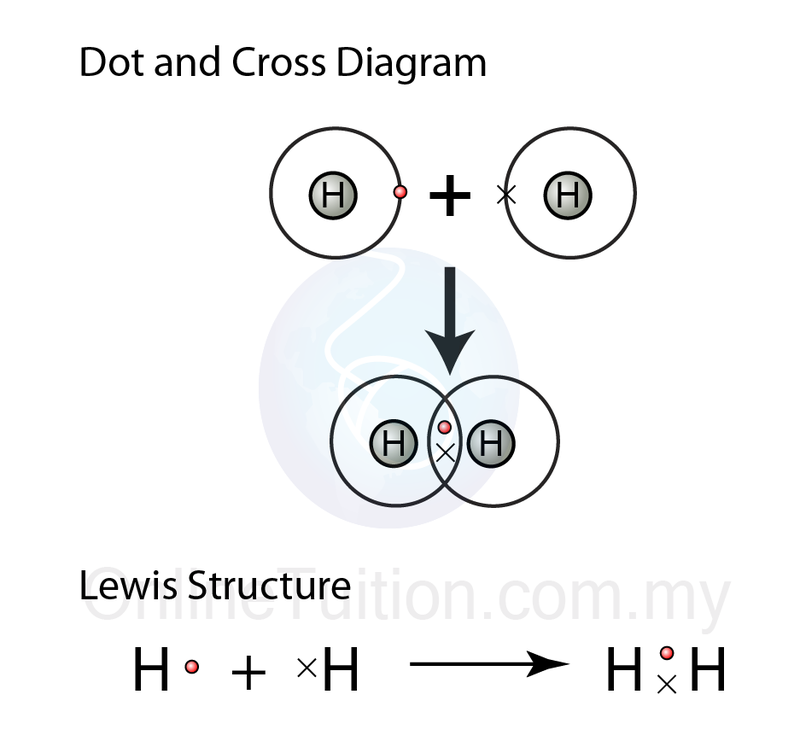 As a result, covalent bonds formed between the oxygen atom and the hydrogen atoms. Like the formula of ionic compounds, the formula of most covalent compounds can be predicted by referring to the group in periodic table of the elements in the compound. We can predict the formula of a covalent compound by referring to the valency of the elements in the compound, if we know which group in periodic table the element is located. 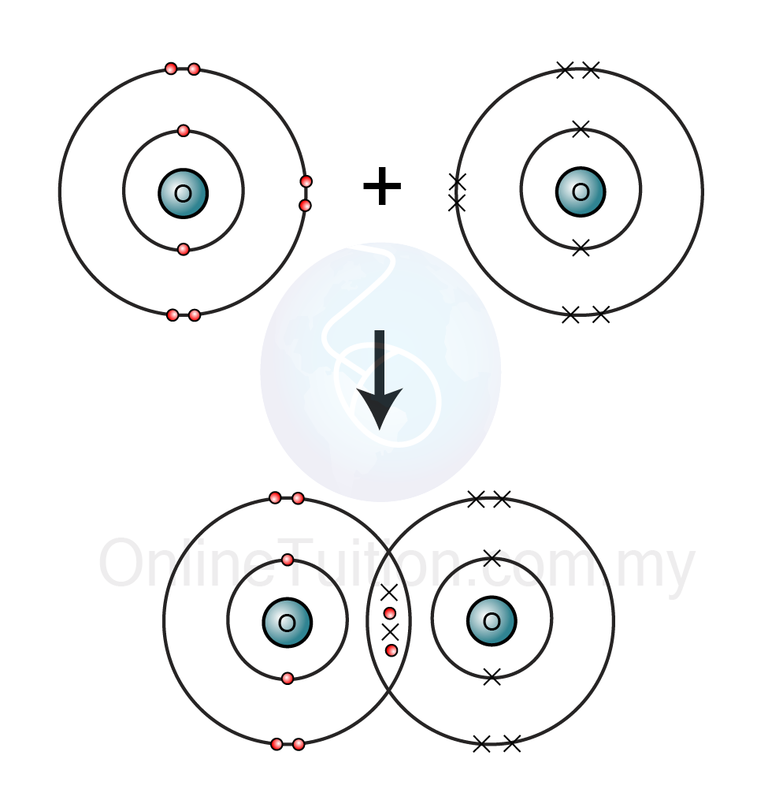 The valency of an atom is the number of electrons receive of release to achieve octet electrons arrangement. For example, the electron arrangement of an oxygen atom is 2.6. To achieve octet electrons arrangement, the oxygen atom need to receive 2 electrons. Therefore, the valency of oxygen is 2. Table below shows the group of the elements, the valency of the elements and the predicted formula of covalent compounds formed among the elements.